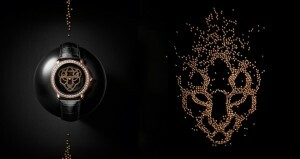 Let us introduce you absolutely new and totally seductive luxury watches from Roger Dubuis! The Velvet Haute Couture Mink Fur, the Corsetry and the Passementerie models, presented at the recent Watches & Wonders 2014 exhibition, allow any woman to uncover a Goddess in herself. Each of these models is fantastically original! Best experts in decorative fabrics and trimmings, designers of new corsets models, as well as the famous furriers, were attracted to the creation of such unbelievable timepieces. At the same time, these Roger Dubuis luxury watches have retained all characteristic features of the Velvet collection: slightly elongated round-shaped case with elegant and decorative lugs and multi-level dial with delicate Roman numerals. Each of these 36 mm watches is equipped with a self-winding automatic movement with the caliber RD821 that contains 172 parts. 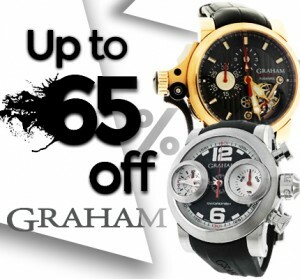 Moreover, these luxury watches are available in a limited edition of just 88 pieces of each style! The Corsetry model features a vintage corset-style strap made from the tender flesh-pink calfskin with intricate black lacing for a striking contrast. Such a unique band was created by the Artisans Selliers, the leading specialists of Switzerland in leather goods. 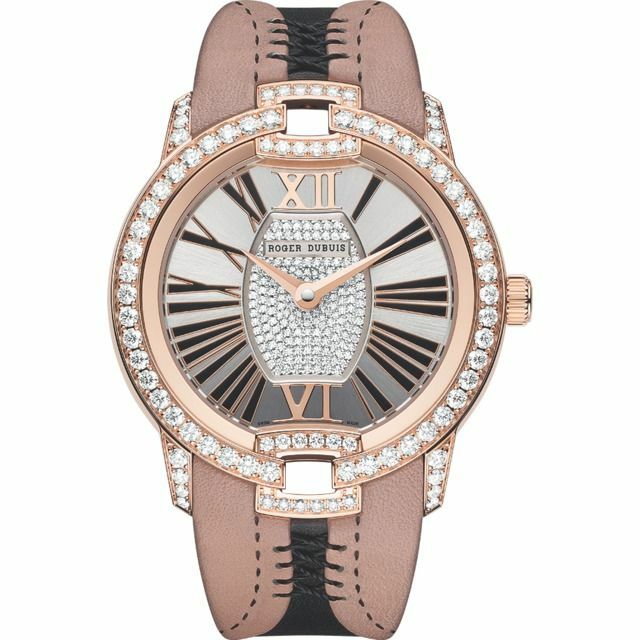 The silver-tone dial of this fine watch decorated with 162 brilliant-cut diamonds contains Roman numerals in black and pink gold in order to match the colors of the case and strap. The bezel and the lugs are also encrusted with diamonds. In addition, this glamorous model has an extra pink alligator strap. The Mink Fur model is distinguished by a black-blue strap made from the shimmering sheared mink that highlights the beauty of the white gold case. This gorgeous creation is a work of a famous furrier Daniel Benjamin Geneva. The central part of the case, bezel, lugs, dial and even the adjustable folding buckle are all decorated with the incredibly beautiful 496 diamonds. Besides, this ldesigner watch features double sapphire crystals that protect metalized Roman numerals and hands, and also a glossy black alligator strap for everyday wear. The last one named after the Declercq Passementerieq is also known as the Fishnet model because of its handcrafted strap made by Jerome Declercq. Created as an attractive pair of fishnet stockings in beige colors with black azhur this tender strap will compliment any wrist. 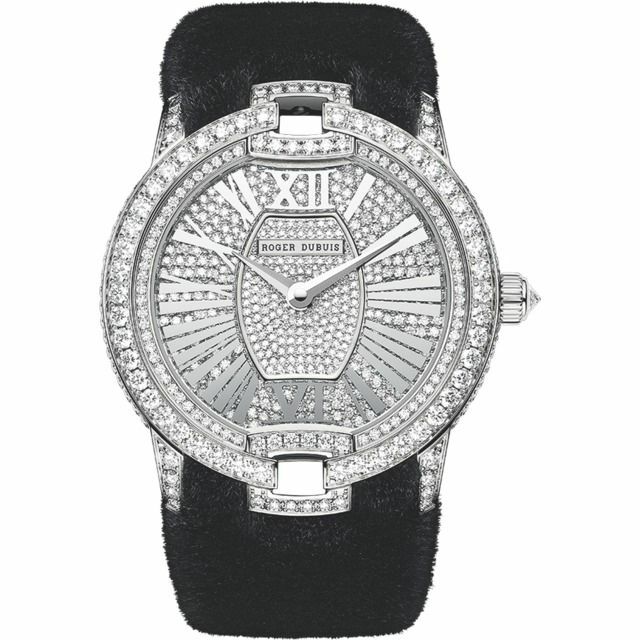 The bezel and the lugs of this high-end watch are decorated by 1.66 carats of brilliant-cut diamonds. 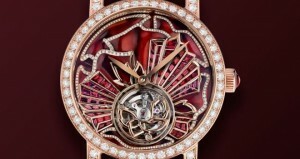 The charming case is made of pink gold. 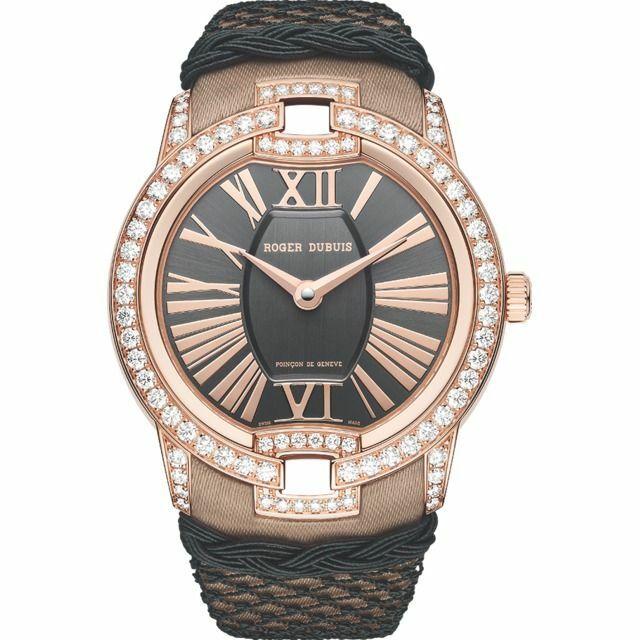 In addition, one more taupe alligator leather strap is included to this Roger Dubuis luxury watch! These three are real work of art! Each of them is unique in its own style! If you want to buy one of these luxury watches, here are the prices: the Velvet Haute Couture Corsetry model will sell for $53,000, the Passementerie for $46,000, and the Mink Fur for $100,500. No doubts, these timepieces are worth every dollar spent! 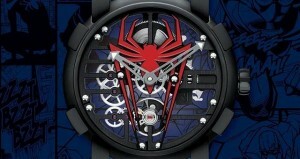 Welcome to the Amazing World of Romain Jerome Designer Watches!